Here’s How the Micromax Bharat 1 Stacks Up Against the Reliance JioPhone? BSNL has always been on the forefront when it comes to matching its tariff plan to that of Jio. 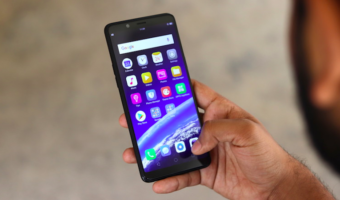 Now that the Reliance-owned telecom company has launched its own 4G VoLTE-enabled feature phone, BSNL has announced the launch of a similar feature phone in partnership with Micromax India. Here is how the new Bharat 1 from BSNL and Micromax contests against Reliance Jio’s JioPhone in the feature phone segment. To start off with, the Bharat 1 comes with a 2.4-inch QVGA display and is internally powered by a Qualcomm Snapdragon 205 SoC. The processor is clubbed with 512MB of RAM and 4GB of internal storage which can be expanded further. The device supports dual SIM cards, and also comes with Bluetooth 4.1 and Wi-Fi. The feature phone sports a 2MP rear camera while a VGA camera sits on the front for capturing selfies. The Bharat 1 supports 22 regional languages and comes pre-loaded with BHIM app and BSNL wallet. The handset is backed by a 2000mAh battery. Unlike JioPhone that only works with a pre-installed Jio SIM, the Bharat 1 supports all other networks along with BSNL. Micromax announced that WhatsApp will be released for Bharat 1 feature phone because it runs a forked version of Android OS. As for the JioPhone, it features a 2.4-inch display with a resolution of 240 x 320 pixels. Internally, the feature phone is powered by a 1.2GHz dual-core Spreadtrum 9820A/Qualcomm 8905 chipset which is paired with 512MB of RAM and 4GB of internal storage. 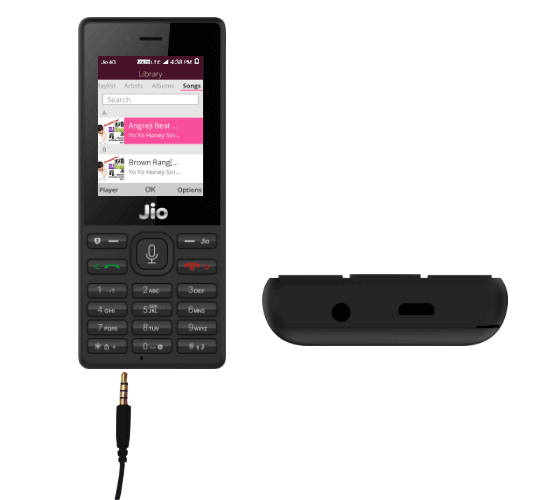 The JioPhone also offers the option of further expanding the onboard storage up to 128GB via a micro-SD card slot. In the camera department, the JioPhone packs a 2MP camera on the rear along with a 0.3MP front-facing camera for selfies. The device runs on KAI OS and supports 4G VoLTE, Bluetooth, and Wi-Fi. This single-SIM device is locked to Jio network and is backed by 2000mAh removable battery unit. The Bharat 1 comes bundled with Rs. 97 plan on BSNL that offers unlimited calls, free SMS, unlimited 3G/4G data, and free roaming for a period of 1 month. 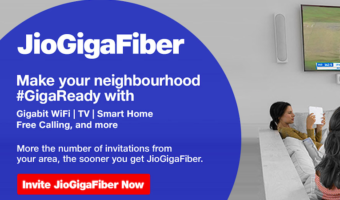 The high-speed data will be capped at 5GB after which the speed will go down to 80Kbps. On the other hand, the JioPhone offers unlimited voice calls and 500MB 4G data per day with its Rs. 153 recharge plan. Post 500MB, the plan also offers unlimited data at the speed of 128Kbps. With minimal specs and 4G support, the main difference between the Bharat 1 and JioPhone comes down to the price. 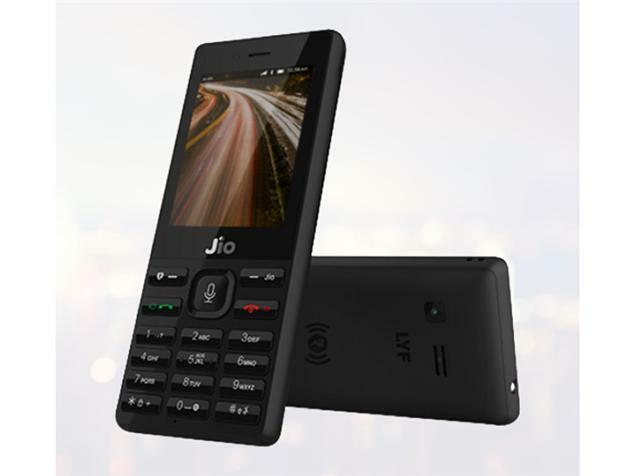 Jio claims the JioPhone to be “effectively free of cost”. Interested buyer has to pay Rs. 1,500 as an initial deposit, which will be refunded after 36 months of usage. However, if you happen to return the phone within the first 12 months, the initial deposit will not be refunded. If the device is returned in 12-24 months, you will get back Rs. 500 and Rs. 1,000 if it is returned between 24-36 months. 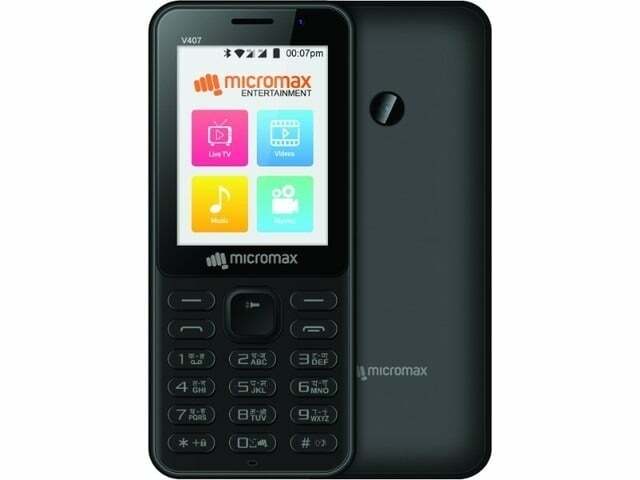 At the launch of the Bharat 1, Micromax claimed that its pricing is similar to that of the JioPhone and will cost Rs. 2,200. The Micromax Bharat 1 is available for purchase starting October 20, 2017, across the country. Does mmx bharat 1 support all 4g bands like 850 1800 2100 2300 or only bsnl 4g band 2500 2600? Only band 3 and band 40!!!!! Where are those 6 lakhs fools who booked Jio phone. Can anyone tell …does Jio has guts to match BSNL offer of unlimited call + 5GB data per month for just rs 97. Bsnl hasnt even launched 4g yet forget volte. How will they sell a 4g volte phone then? Micromax Bharat will surely sell a lot but ppl will use other networks on the phone.